Do you know about the latest updates of SAIL Job 2019? Here is a great opportunity for all aspiring candidate to start your career in the Government sector by applying the posts on SAIL Job 2019. Refer the below –tabulated details and check out the eligibility to apply for the postings and nurture your skill and develop your career growth. Candidate should hold a record for being a Charted Accountant or Cost Accountant on a regular basis with the course of MBA/PGDM from a recognized University. Candidates who are working in the field of Indian Audit and accounts service, Indian railway Accounts service, Indian P&T Accounts & Finance service, Indian Defence Accounts Service, Indian Civil Accounts Service and Indian Cost Accounts Service officers of organized Group ‘A’ and analogous level officers will be preferred to apply SAIL Director Recruitment 2019. Candidates should have experience in the area of Corporate Financial Management and Accounts at a senior level experience of at least five years in an organization of repute during the last ten years. Applicants from Organized Group ‘A’ Accounts Services should have working experience in the area of Corporate Financial Management/Accounts department at a senior level experience of at least five years during the last ten years. Applicants from Central Government/Armed Forces of Union/All India Services should have the relevant experience as mentioned above include at last seven years during in last ten years in the area of Corporate Financial Management Accounts with cumulative experience at a senior level post are eligible to apply the post- SAIL Director Vacancy 2019. Applicants from Central Govt. /All India Services The Equivalent scale of pay as posting of Level of Joint Secretary in Govt. Applicants from Armed force of the union Pay scale equivalent to Major General in Army or rank in Navy/Air force. Step 4: Either applicant can take a printout of the Application form, and sent through offline after their filling and self-attested documents. Step 5: the public sector organization has drawn different procedures and methods to applicants from a particular sector to submit the application to the assigned officer. Step 6: Applicants who are looking for specific information can visit the official website http://pesb.gov.in/ and gather the list of information. Step 8: The Public sector unit looking for a person as an immediate absorption process for Central Government officers, Including all Indian services officer. Step 9: Take a printout of application for future use. 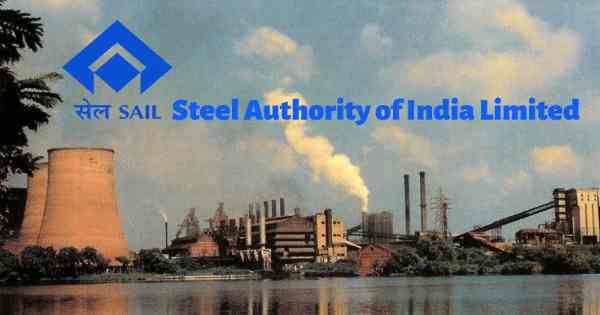 For knowing the Selection process for the post of Steel Authority of India Recruitment 2019, the candidates can check the official notification for specific conformation.